Shrimp is literally one of my favorite foods because it is so versatile and cooks up in a pinch! Ever have those days when the last place you want to be is in the kitchen? I have felt that way all this week because I am actually sick…who gets sick during the unofficial start to the summer? Anyhow, since I sure as heck wasn’t cooking anything fancy I took out a 1 lb bag of shrimp to defrost, and surveyed my pantry and fridge. Those are literally all the elements you need to make a quick marinade to later pan-fry (5 mins or less) with your shrimp. Easy peasy, limey squeezy. Honestly, it is so easy, so fresh, and so yummy! A total hot weather type of meal because you can even make the rice in the microwave these days…hello minute rice! Plus, it reheats perfectly, and can be a good mix up for meal prep and adding a little more flavorful burst of protein to your menu. 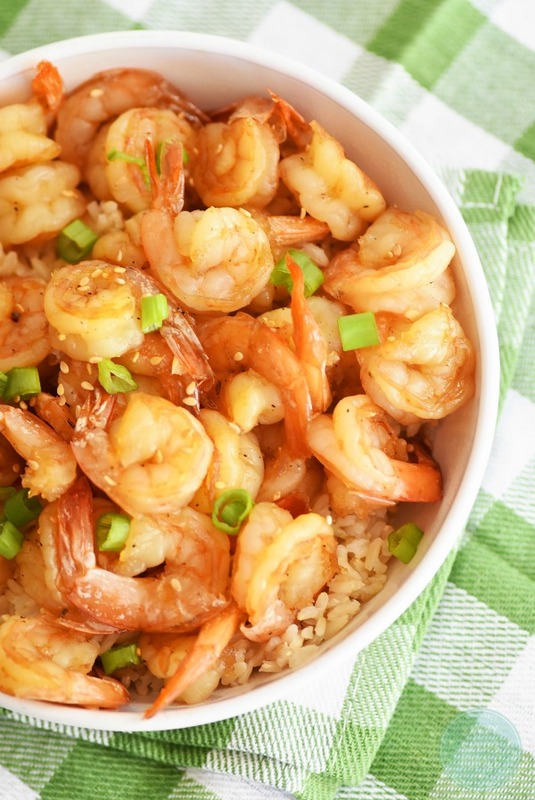 Want to make this Quick Honey Lime Shrimp? Before you head out for the day, add your patted dry and defrosted shrimp to a large zipper bag along with all of the marinade ingredients (sans the rice & scallions). Marinate all day or at least a few hours before adding all the ingredients into a stir fry pan and cooking for like 5-10 minutes over low/med heat, or until the shrimp go from grey to orange. Serve with brown rice, and limes to garnish. I am not a seafood eater, but my hubby LOVES shrimp. He is going to love this. I LOVE these flavors together. My daughter has a terrible shellfish allergy, I do something similar with chicken! 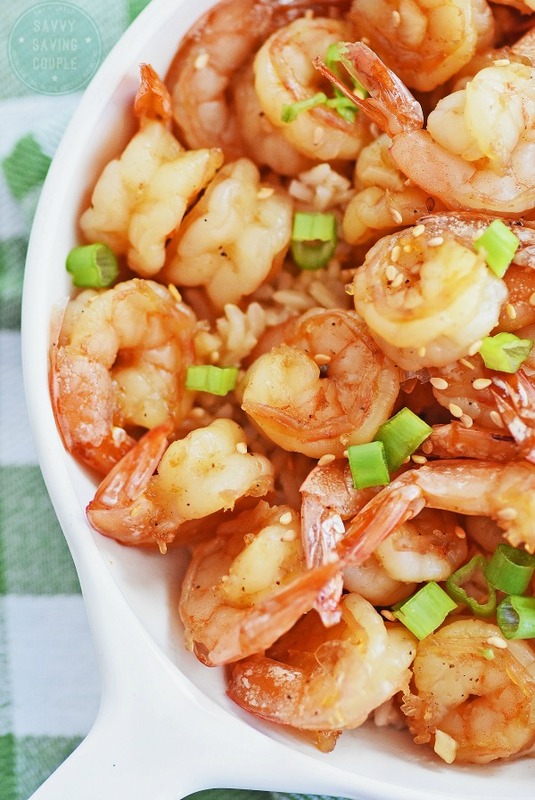 You had me at honey lime, then you added shrimp! I bet this is the perfect light Summer meal for those watching their waistlines! I could dive right into that!! Love the honey lime combination with shrimp!! I feel like honey and l ime make a great combo. What a tasty summer dish! I love shrimp and it’s a staple at any party that I host. I can’t wait to make this recipe for all my friends and family at my next summer gathering. Yummy! This would make a delicious dinner and it does not get much easier. This looks so good! I have been wanting to make more shrimp for dinner lately this would be a perfect one to try. We love Shrimp and are always looking for great ways to prepare it. This dish looks delicious and easy! That looks really good. I’m not much of a shrimp fan though, but it still looks good. I’ll have to give it a try. Wow! When you said ‘quick’ you weren’t kidding around! 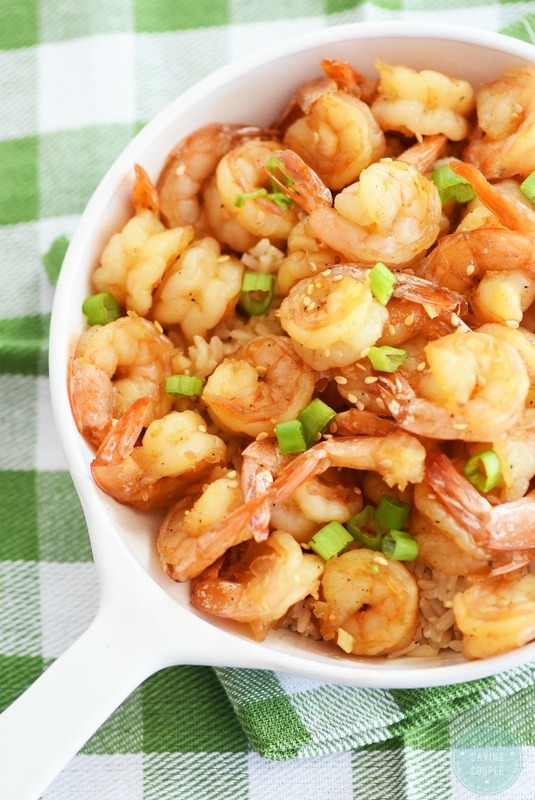 This dish sounds really awesome – gotta try it out since I have been craving shrimp lately. Yum! That looks amazing. I will definitely be trying this for supper one day next week! My family loves shrimp. I will have to give this a try for dinner very soon! I am sure everyone will love it. We are crazy about shrimp! I’ve never done any recipes with lime. I have no doubt my hubby could pull this off, and it would be a hit with everyone. Looks and sounds delicious! My family loves shrimp. I will have to get the ingredients i need to make this for dinner this week. That’s such a beautiful and colorful looking dish. Bet your family enjoyed every bite. You are definitely speaking my love language with this dish! I love shrimp and added with honey and lime, you are talking HMMMMM!